Scotland is leading the way and can win a European space race, an MSP has said. 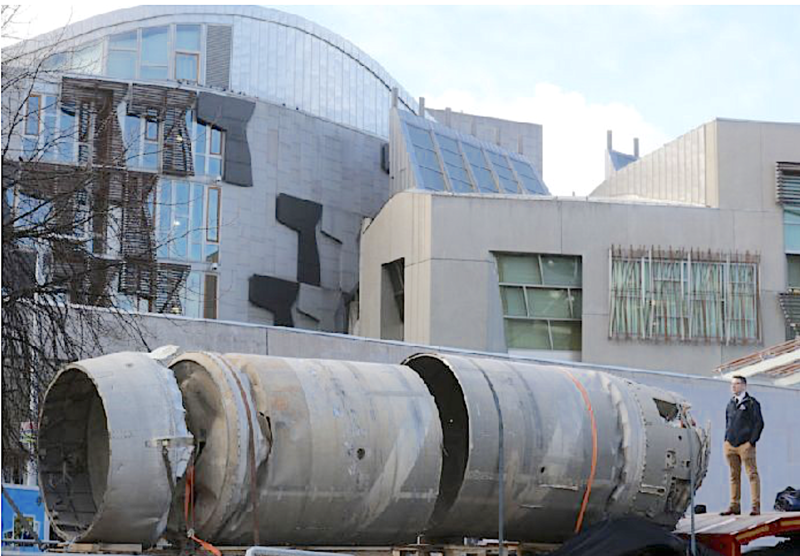 Speaking at Holyrood on Thursday, Scottish Conservative Edward Mountain said all MSPs (Member of Scottish Parliament) should get behind proposals to increase the country’s space capabilities. He made the comments during a Scottish Government debate on Scotland’s strengths in technology and engineering in becoming a leading space nation. Mr Mountain said Scotland is not just capable of building rockets, but also launching them. He said: “Scotland builds more spacecraft than anywhere else outside California and that’s something to be proud of. It’s a remarkable success story for Scottish manufacturing. “Scotland, I believe, is leading the European space race because not only can we design, build and operate, but we will now be able to launch spacecraft. “I believe that the UK has the right business environment, the right industrial capability and is also blessed to have the right geography to succeed. Leading the debate, Innovation Minister Ivan McKee suggested Scotland’s space sector could be worth £4 billion by 2030. Mr McKee also outlined the Scottish Government’s plans to introduce at least one spaceport by the early 2020s. He said: “Scotland already has an innovative and diverse engineering base, with world-class companies competing in international markets. “As a country already punching above its weight in the space sector, we are in a great place to consolidate these existing strengths. “Our ambitious plans for the space sector need strong leadership to succeed, and we are working with the Scottish Space Leadership Council, which has representatives from all parts of the sector including potential launch sites, satellite manufacturers and data analysis businesses. More small satellites are built in Glasgow than any other place in Europe, with nearly a fifth of all UK space jobs based in Scotland. Findings from the Size and Health of the UK Space Industry 2018 report indicate a 27% increase in the number of space organisations in Scotland. There are now more than 130 space organisations in Scotland - including the headquarters of 83 UK space industry firms - generating an estimated combined income of £140 million. Scottish Labour MSP David Stewart said: “Scotland has a fantastic space industry but it must be invested in for it to continue to grow. “We can either grasp this opportunity to be at the forefront of space technology or we can choose to be left behind. “Scotland in general, and Highlands and Islands in particular, have a comparative advantage in terms of location. A Scottish Government motion was passed by 79 to 21. It called for Parliament to welcome the growth of the Scottish space sector and said that investment should be encouraged to support the ambition to deliver a full end-to-end space sector capability in Scotland, to build, launch and operate satellites. A Scottish Conservative amendment calling on Parliament to welcome both the Space Industry Act 2018 and the UK Government’s Industrial Strategy, which includes support for a £50 million programme to support small satellite launches and sub-orbital flight from UK spaceports, was passed by 79 to 21. A Scottish Labour amendment for Parliament to note the diversification to the Scottish economy that the space sector provides and to consider future commercial viability was passed unanimously. A Liberal Democrat amendment failed to pass by 81 to 19. It had called on Parliament to support the creation of enterprise zones in areas of Scotland where space activity is being developed.